The cost of chargebacks totaled 5.6 billion in the US, in the last year. How will you ensure that your brand’s dollars are not included in this number? 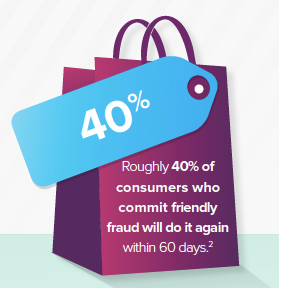 A chargeback is initiated by banks when a consumer disputes the charges after the purchase of a product, and while some of these may be fraud related, there has been a 40% increase in the “friendly” chargeback, when consumers legitimately buy your product with their own card and request a refund after receiving it because they are dissatisfied. It is important that your brand looks into the reasons for your chargebacks and identifies patterns that can help you improve the shopping experience for your consumers. Nearly a fourth of customers (23.8%) request a chargeback for receiving an incorrect product. Imagine the dollars your brand could save if you identified this problem and found an easy solution. Consumers want to know what they are getting. If your brand can reduce confusion with quality product content that is consistent and engaging, consumers will begin to build trust in your brand. 50% of consumers have returned an item due to a product page that did not have accurate content, don’t let your consumers be one of them. Post-purchase content such as instructions or video, can also help your consumer understand your product further and help your brand avoid a chargeback request. It all comes down to creating consumer confidence. To do this you need to provide a great product experience to your consumers that will provide them with consistent product content. By establishing a product experience management process, you will be able to get the right content to consumers and receive insights to improve your business, which will ultimately drive sales and of course, reduce your chargebacks. To dive deeper into how your brand can avoid chargebacks, download our free ebook: 5 Steps to Reduce Unnecessary Chargebacks.